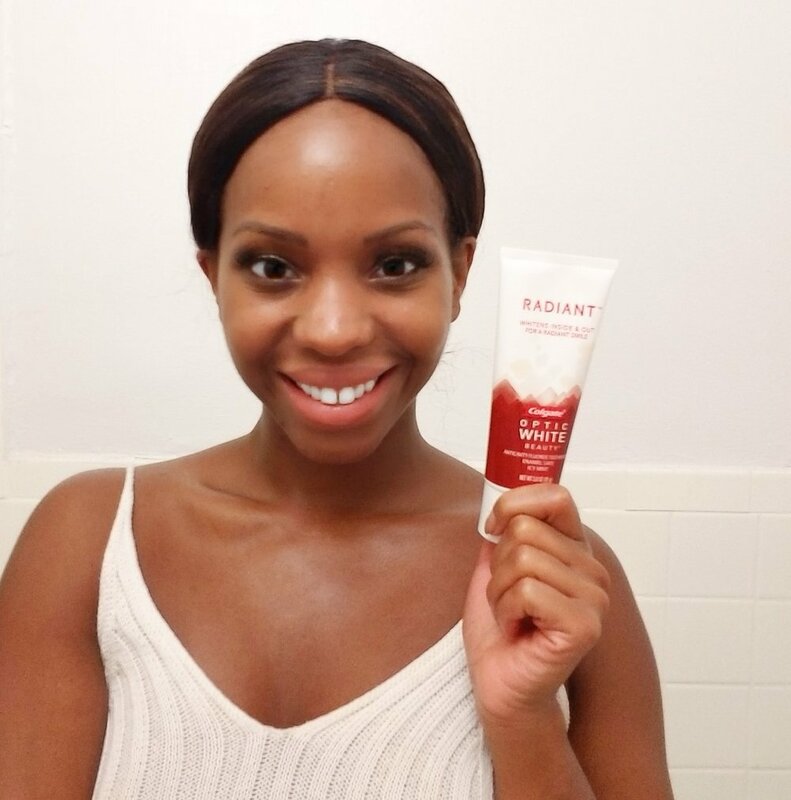 Colgate® Optic White® RADIANT™ Toothpaste. .
Colgate® Optic White® RADIANT™ Toothpaste has kept my smile glowing, despite my coffee and red wine habits! It’s enamel safe so fine for daily use, and unlike most whitening toothpastes, Colgate® Optic White® RADIANT™ Toothpaste safely whitens the inside as well as the outside of your teeth. Here’s how I work this into my beauty routine for a glam Fall look! Step 1: Keep my smile glowing by brushing with Colgate® Optic White® RADIANT™ Toothpaste twice daily. Step 2: Define my eyebrows with dark brown powder and highlight the arches with concealer. 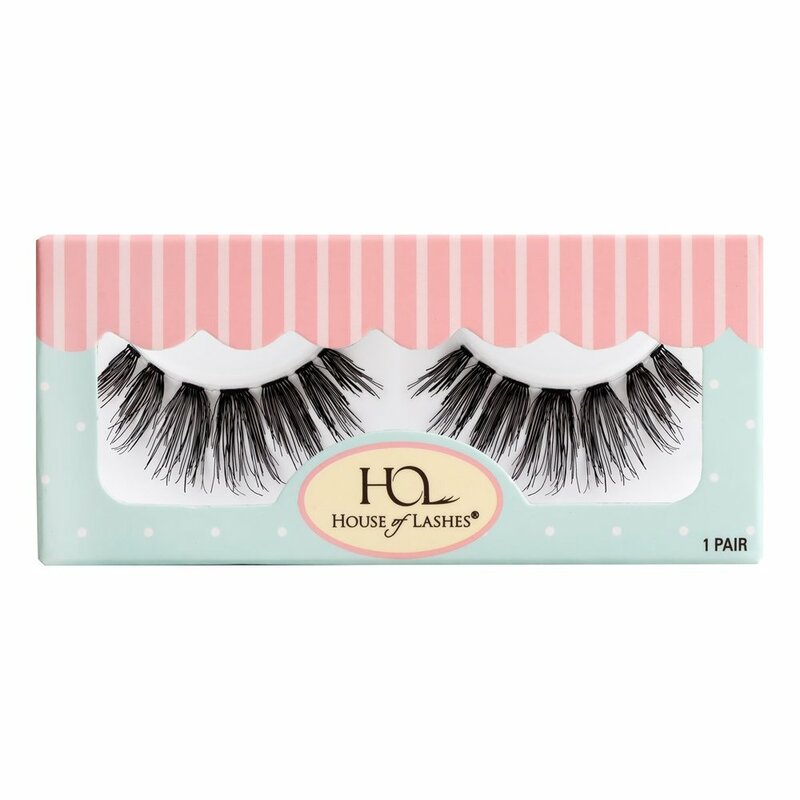 Step 3: Lightly contour my eyes and apply a strip of my favorite false lashes. Step 4: Perfect my skin with foundation, concealer, and powder and add a bit of blush or highlighter. Step 5: Finish the look with a pop of red lipstick that will add some color and contrast, and show off my smile. 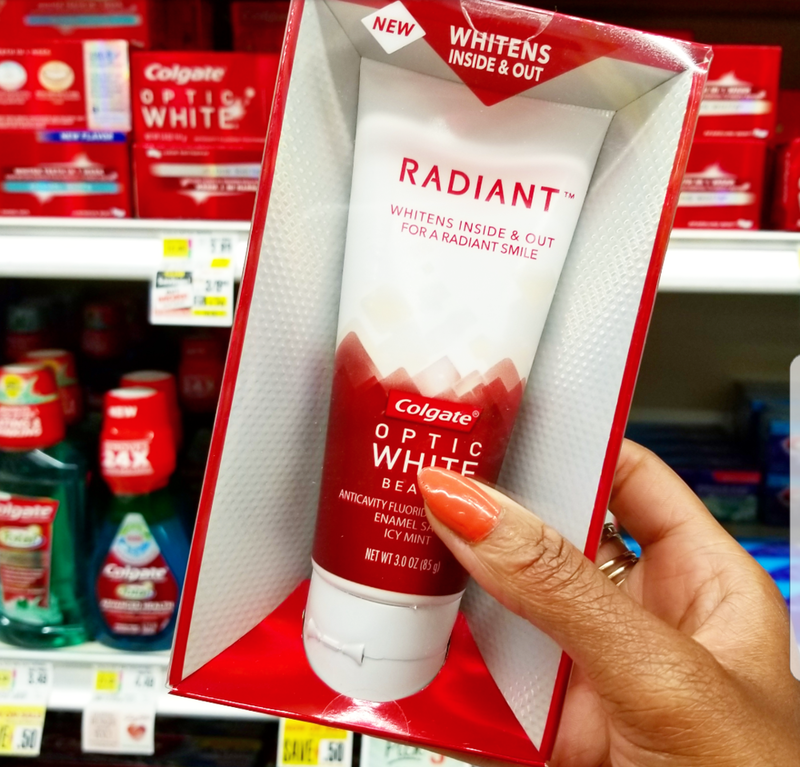 If you are ready to add Colgate® Optic White® RADIANT™ Toothpaste to your shopping list, you can get it anywhere Colgate products are sold. My store of choice is ShopRite. They are the best place to get all your essentials, from groceries to beauty products, and even beautiful fresh flowers. Don’t forget to grab this coupon to save $2.00 on any ONE (1) Colgate® Optic White® RADIANT™ Toothpaste (3 oz. or larger). But shop fast, this offer expires September 23, 2017 (while supplies last)! Get the coupon here! . The 8 Beauty Must-Haves You Need for Fall! It's about the time of year when this beauty junkie needs some product refreshing! I'm pretty much doing my best when it comes to summer beauty - keeping my face on, managing the sweat and humidity, and keeping the frizz at bay. This season is a challenging one and I'm really getting over it! But I can't help but be excited about some of the Fall beauty trends and colors I'm starting to see teasers of online. Here are a few of the products I'm super excited to try and staples I'll be restocking! It's no secret I love makeup. This is the time of year where getting extra glam becomes almost a daily requirement, thanks to the endless array of holiday parties. I live for a classic red or dark lip, but have been playing with shimmery neutrals and I love the effect. Here are some of the products I've been using to get the glow! If you haven't heard of Kiko get familiar! I discovered this brand when I lived in Milan and on my recent trip to Rome I had to stock up on their amazing and affordable color cosmetics. For the look above I'm wearing their water eyeshadow in champagne and layered their brown matte lipstick and glitter pencil lipgloss. I am usually nervous about doubling up on shimmer products, but I love how this combination turned out. 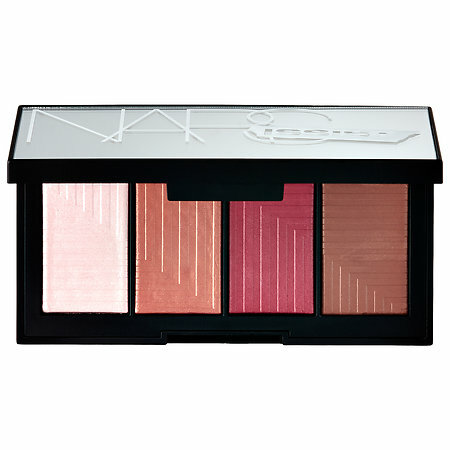 I've also been really into Julep's Skip the Brush Cream to Powder Blush Sticks. The creamy formulas go on smooth, but work well with my oily skin. The desert rose and warm bronze are my favorites, and they have a subtle shimmer that's great for highlighting your cheekbones. Another favorite from Julep! Their full coverage eyeshadows are all amazing, but I especially love the shimmery shade in the 5th Avenue & Broadway duo. It's really great for highlighting the inner corner of your eyes, which I do pretty much every time I want to make my eyes pop. 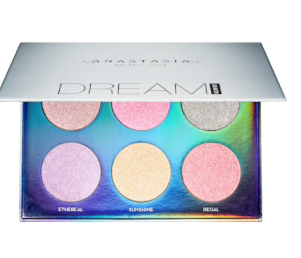 The ultimate in shimmer is Pat McGrath's Metamorphosis Kit. 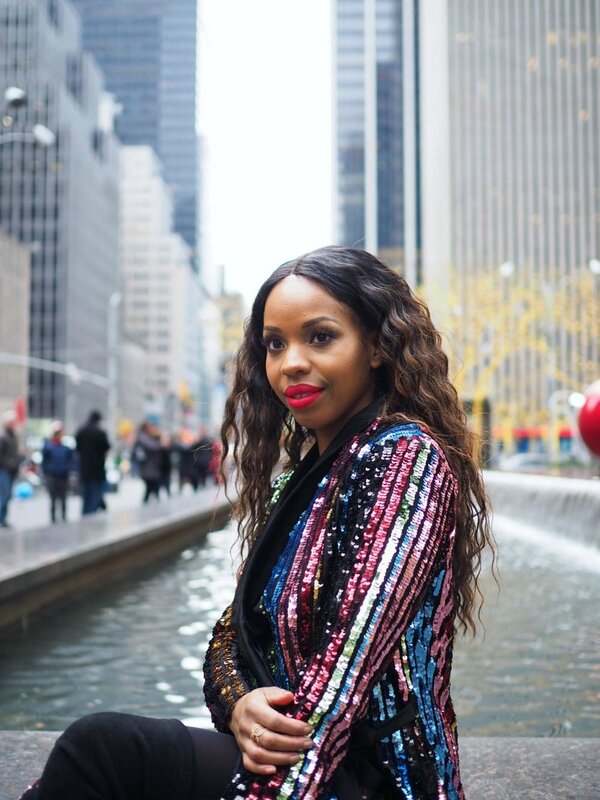 Since she debuted glitter lips on the runway, Pat has been blowing minds with her shimmer, glittery creations and this kit is a holiday must-have. I haven't tried it, but I'm really hoping it ends up under my Christmas tree!